Rain moved across North Texas once again on Saturday morning flooding roads and adding to the already rising lake and creek levels. For the second day in a row, flash flood warnings were activated for many of the bigger counties including Dallas, Tarrant, Denton and Collin. From Dallas to Lewisville, Denton and beyond, police departments, cities and residents reported high water and road closures. 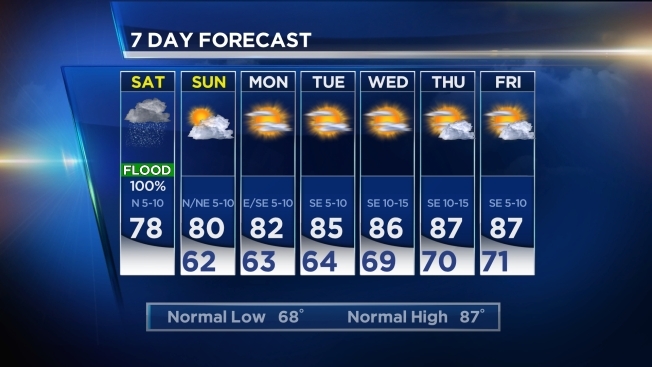 People who live along Singleton Boulevard in West Dallas are watching the weather very closely after Dallas Police officers drove through the neighborhood on Friday night urging residents to evacuate. Some waited until Saturday morning. "We knew it was going to flood since we stayed in front of the little river so we just left," said Juanita Hernandez. Garland, one of the hardest hit areas, has seen 9 inches of rain fall in the last two days. And in Dallas about 6 inches fell as of Saturday morning. 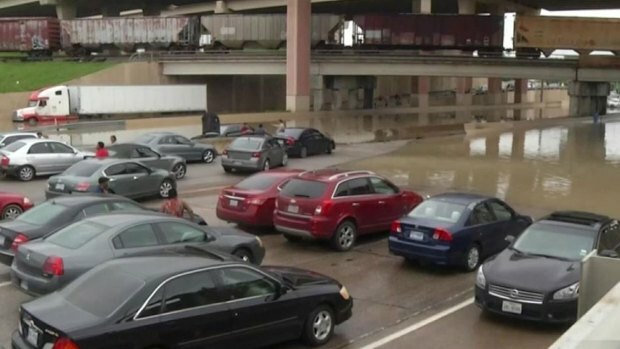 The rain is not a welcomed sight for many in Dallas County after flooding blocked Loop 12 under Interstate 30 overpass on Friday. That area is expected to be closed well into next week. In Lewisvlle John Beachman who has lived by Timber Creek since 2001 said 8 feet of his property is now under water. Two North Texas deaths have been blamed on the flooding. On Friday an NBC 5 photographer captured video of a driver maneuvering around a police cruiser beneath an overpass on Northwest Highway early Friday and heading directly into high water.